Registered architect, licensed in Colorado. His knowledge and expertise in these areas have been developed over the past thirty years by working nationally on commercial and custom residential projects where his accomplishments include design, specifications, technical detailing, accessibility, universal design, sustainability measures, project management and construction administration. Curriculum development, training, and activities for public and professional education. 33 years of product design and construction in multi-family, single family, master planned, commercial and retail environments. Masters degree in Real Estate from NYU. Value and comfort for clients with Aging in Place techniques and Universal Design is a primary consideration in both new and rehab projects. Adding value, comfort and safety to existing and new construction. Serving clients with both immediate and future needs implementing Aging in Place and Universal Design techniques. Specialist in cooperative householding; Author of My House Our House: Living Far Better for Far Less in a Cooperative Household (2013) and The Behavior Breakthrough: Leading Your Organization to a New Competitive Advantage (2013). Speaker on forming and sustaining shared households. President and founder of On Track Sarasota, LLC—a consultancy to help Suncoast business owners move from strategy to results. Member of: Universal Design Coalition, Living in Community Network, Sarasota Architectural Foundation. Over ten years experience living in and speaking about cooperative housing arrangements. Over twenty years experience consulting to Fortune 100 companies and not-for-profits to improve their outcomes. Recently relocated full-time to Sarasota, Karen applied Univeral Design principles to renovate her co-owned condominium to create a living environment where she and her co-owner can thrive independently for the rest of their lives. 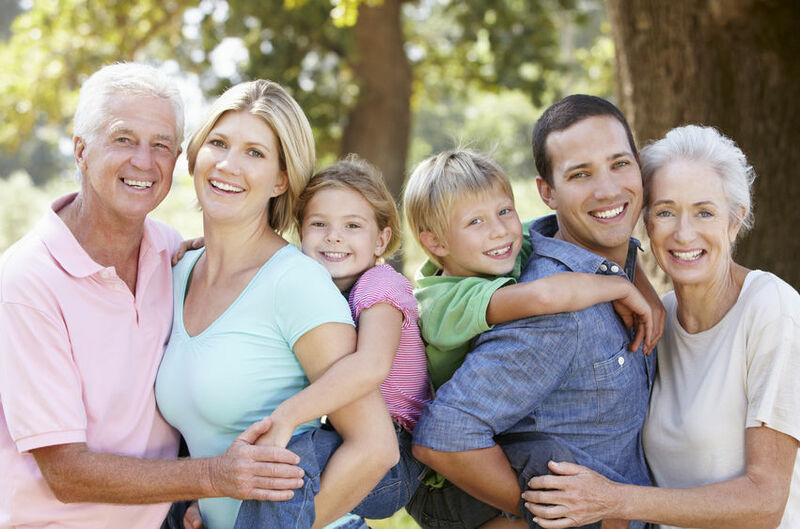 Cornerstone: “Your One-Stop Resource for Aging Well and in the Right Place” – a marketing referral network of professional Partners and Key Resources providing products and services to the senior population of Sarasota and Manatee County. Areas of Focus: Living Environments (Universal Design Aging in Place and Senior Retirement Communities) and comprehensive Personal Services-Home Health, Legal, Financial, Insurance, and Benefit Planning. 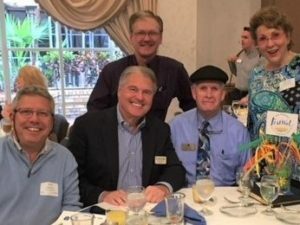 Active Member: Universal Design Coalition, Manatee-Sarasota Building Industry Association, Hearing Loss Association of America, Sarasota County Aging Network, Stakeholders in Aging Consortium, and Downtown Sarasota Condo Association. 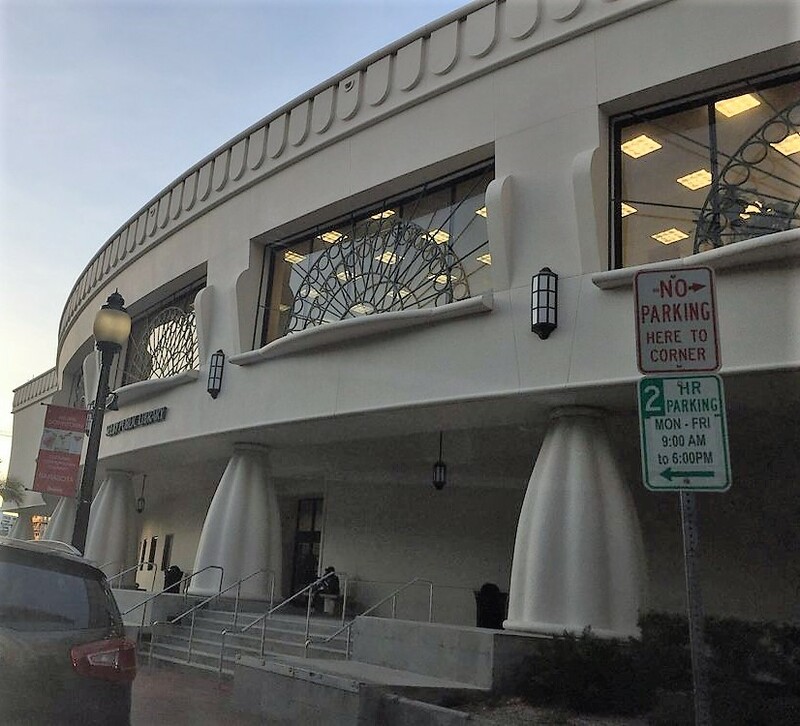 FriendshipCenters : Currently she uses her teaching background to offer courses in caregiving solutions and, brain fitness, is a member of the Friendship Centers Speakers Bureau, and serves as an advocacy representative in the community for the Centers. She is on the Adjunct Faculty of LECOM Educational System. In her past life, she was a consultant on long term care compliance issues, and assumed various duties using her RN, NHA licenses in both COO and CEO roles in retirement communities. 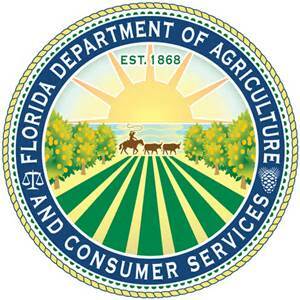 Member of the government appointed Sarasota Senior Advisory Council , The Sarasota Memorial Hospital Senior Advisory Council, NICHE, The Sarasota Community Alliance, The Legislative Sub Committee of the Sarasota Community Alliance as well as the Stakeholders in Aging Consortium. She holds the designation of being a Certified Aging in Place Specialist (CAPS), and holds a Dementia Training Certification with Teepa Snow, national educator. She also serves on the Board of Directors of The Orchard Place, in Sarasota , Fl offering affordable housing for those with special housing needs. Over 40 years experience in the construction industry. Consults in all aspects of the construction industry solving problems and saving money. Owner’s Representative, Code Compliance and Energy Efficient Green Building. Dale does not build anymore and does not accept finder’s fees. His only allegiance is to his clients. Interior Design Degree from the University of North Carolina, SCORE Certified Mentor, Business owner and active leader in several non-profits including Universal Design Coalition (UDC), Stakeholders in Aging Consortium (SIAC), Living in Community Network (LICN) and SCORE-mentors to America’s small businesses. Jeannette has focused on Universal Design, Aging-In-Place and Senior Housing Issues ever since she realized that she would become a senior – and didn’t want to live in a “facility.” Universal Design/Aging In Place consultant and designer, residential renovation consultant. 37 years as a Registered Nurse with the majority of clinical practice in the Emergency Room and Trauma Centers and devoted to the prevention of injury within our communities. Nationally and locally recognized as a leader in innovative programs that deliver messages and information intended to minimize and/or eliminate preventable injuries. Sincere advocate for Universal Design as it relates to injury prevention and helping Seniors age in place. Registered Interior Designer (RID#149), serving clients in both the commercial and residential markets. Universal design is a key element for those that want to age-in-place no matter what mobility challenges they may encounter. It’s not about being old or handicapped, but about performing everyday tasks without impediments. Our interest in Universal Design stemmed from challenges faced by our own family members which required the re-design of their existing living spaces. Bowie is passionate about sustainable (Green) housing solutions that allow independent aging in place with Universal Design features within “living in community” situations, such as shared housing, accessory dwelling units, and co-housing. She is a Sarasota resident for over 50 years and a professional urban planning consultant for over 25 years. She began her sustainability advocacy as a national speaker in 1994. Beginning in 2002, she facilitated Sarasota Green Connection, a seven-year pro-bono effort to grow the local green economy. Her proficiency in green building products was gained as the owner of Sarasota Green Marketplace, a green building supply retail store that operated at Gold Tree Plaza from 2007 until 2009. She is a project manager and business management consultant who worked for Booz Allen Hamilton, Jacobs Engineering and Michael Baker, and others. She is author of numerous articles and the book, “Estimating Planning Services” and taught a number of design professional continuing education (CEU) courses on low impact design, the green economy, and sustainable planning solutions. Mary Anne is a member of Arlington Park Neighborhood Association Board of Directors, Myakka River Branch US Green Building Council Governing Board, Universal Design Coalition and a Fellow of the American Institute of Certified Planners (FAICP). Certified Aging-In-Place Specialist (CAPS) Certified Environmental Access Consultant (CEAC) Graduate of Bucknell University with 40 years of experience in the financial services industry. 101 Mobility Franchisee since 2013. 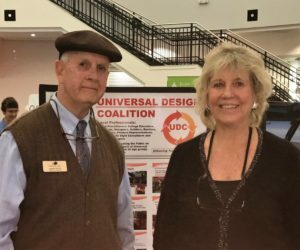 Member of Universal Design Coalition, Stakeholders in Aging Consortium, Florida Council on Aging, Sarasota County Aging network. Provider of Accessibility and Mobility solutions. Click Here to learn how to become a Member of the UDC. Focusing on Universal Design principles and supportive services to encourage planning that will allow our older and disabled populations the ability to live in their home and community safely, independently, and comfortably. 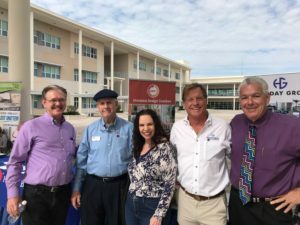 The Herald-Tribune focused on how the new tax overhaul could affect the local housing market when it held its second annual BuilderFest event February 3 at Riverview High School’s Performing Arts Center in Sarasota. Holliday Group was a sponsor at the event and partnered with the Universal Design Coalition (UDC) at their display booth. Pictured are Larry Hale and Don Fitts of the UDC, Kathy Black of Age-Friendly Sarasota, Craig Holliday and Gregg Glasser of the Holliday Group. Participants immersed themselves in more than 125 exhibits, experiences, presentations, and performances! Inspired by the Age-Friendly Sarasota initiative and presented as a gift by The Patterson Foundation, the Age-Friendly Festival was the FIRST community celebration in the nation to focus on LIFELONG WELL-BEING while aspiring to CONNECT PEOPLE OF ALL AGES.